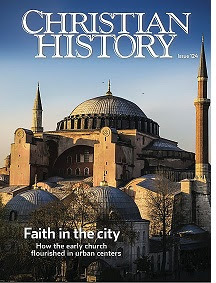 Christian History Institute (CHI), publisher of Christian History magazine (CH), announces its latest issue, titled: Faith in the City – How the Early Church Flourished in Urban Centers. The entire issue focuses on how Christians lived in early urban centers and emerging cities, which became building blocks of Western Civilization. This issue, #124, examines the ancient “city movement” together with the modern one of today. Eleven articles and interviews, illustrated by accompanying images of art and architecture, explore how early Christians thought, worked, prayed, served, and talked to their neighbors in cities. During a 350 year period, starting some 2,000 years ago, a small group of Jesus’ disciples grew to be 56 percent of the population of the Roman Empire, transforming the western world. 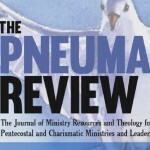 Among six in-depth articles, the issue features a series of five interviews. Each tells the story of people who are, today, doing the same things as was done by early church city-dwellers. Christian History has explored the early church in 11 past issues, but issue 124 is about early Christian life lived specifically in urban areas, where Christians had to negotiate how to live with pagan neighbors, mostly in cities that were crowded, noisy and hedonistic. In the midst of the empire’s wide-spread persecutions, Christians established institutions of education, developed professions, created art and built hospitals & churches, often replacing pagan temples. 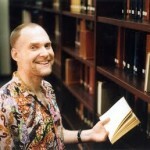 Life in the earthly city – Christians advocated for “the Way” in the middle of urban distractions much like our own, by Joel C. Elowsky – professor of historical theology at Concordia Seminary, St. Louis, a Lutheran pastor, and editor of the Encyclopedia of Ancient Christianity, among others. 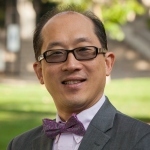 A bishop’s work is never done – During and after persecution new complexities challenged church leaders, by Helen Rhee – professor of church history at Westmont College and the author of several books on wealth, poverty, and early Christianity. 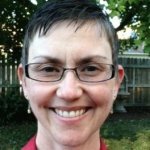 “An expanding circle of love and justice” – Interview of Katelyn Beaty, editor at large for Christianity Today, on how Christians today interact with their non-Christian neighbors. 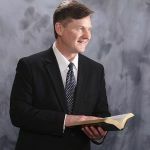 Healing the city – How Christians helped the sick and poor in the Roman Empire’s cities, by Gary B. Ferngren is professor of history at Oregon State University and professor of the history of medicine in the I. M. Sechenov First Moscow State Medical University. He is the author of Medicine and Health Care in Early Christianity, among others. “The only stumbling block is the cross” – Interview of Doug Banister, the pastor of All Souls Church in Knoxville, Tennessee, about how his church does urban ministry. The things that are Caesar’s – How Christians behaved as citizens, soldiers, and public servants, by Rex D. Butler is professor of church history and patristics at New Orleans Baptist Theological Seminary and the author of The New Prophecy and “New Visions”: Evidence of Montanism in the Passion of Perpetua and Felicitas.